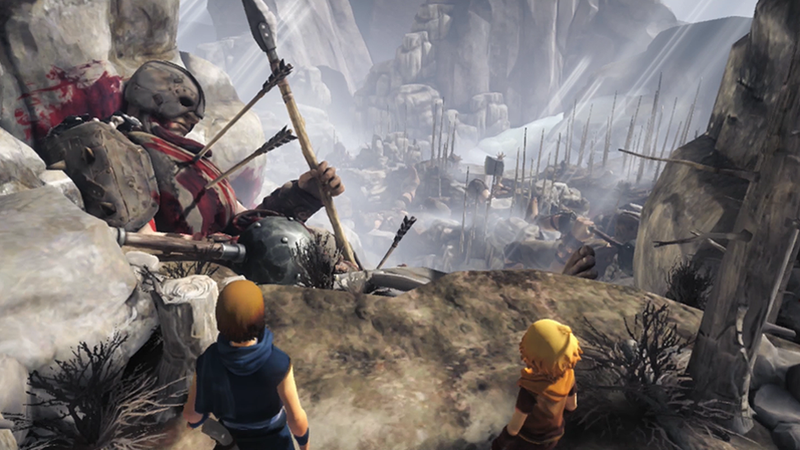 If you watched my other video on Brothers: A Tale Of Two Sons, you know that it's a game about two sons going on a quest to save their sick father. The characters speak only gibberish, yet the game still does a fantastic job of giving these two boys fully realized personalities just through the way they interact with the world. On top of that, Starbreeze manages to tell the story of the world the brothers are travelling through. In the same way that Journey gives just enough information for the player to get the feeling that the world is much bigger than just their story, Brothers hints at a world much bigger than anything the two main characters will ever understand.